God's blessing on us all this special day. Merry Christmas. Many happy returns, Peter, you know we love ya! Thanks to all the fans who sent birthday wishes. I love you more each day and God blessed me with such a great man to love. May your birthday be filled with happiness, joy, heath, Love, real friends and the warmth of Gods smile. You are the best thing in my life and I am lucky to have you as my wife. Happy Birthday! You know we love you! Happy Halloween to all you ghouls and ghosts out there. Peter will be one of the panelist at this year's CMJ Music Marathon. Our prayers and love go out to the victims and family's of 911 on the sixth year since the tragedy . Also our prayer's and love go out to our troops in Iraq may they come home safe. 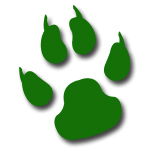 God Bless to All The PeterCriss.net Family. Peter was a guest on CHOM FM's The Metal File. We're not sure who these cats are, but they showed up at the record signing last week. Thanks for showing up. 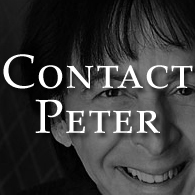 Peter did an interview on Rockline Radio with Bob Coburn, A really great guy! Click here to visit Rockline Radio and listen to the interview. The legendary PETER CRISS, founding member, drummer, composer and vocalist of iconic rock group KISS (otherwise known as “The Catman” ), will release his new highly anticipated solo CD entitled ONE FOR ALL on July 24 on Silvercat Records, distributed by Sony/Red. 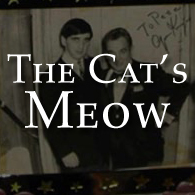 WHAT: PETER CRISS will make a rare live special appearance at VIRGIN MEGASTORE UNION SQUARE in NYC to personally sign autographs of his new solo CD ONE FOR ALL for fans – on the day of the release which will be distributed day-and-date to fans across the globe. ONE FOR ALL is an autobiographical collection featuring Criss’ self-penned tunes, in addition to several cover songs and tribute songs to his fans, that reflect his outlook on life at this point in his long-standing career. In addition to arranging and writing the lyrics and melodies for most of the material on the CD, ONE FOR ALL is the first fully self-produced CD by Criss. The CD also features collaborations with longtime friends and acclaimed musicians – bandleader Paul Shaffer and bassist Will Lee, as well as guitarist Mike McLaughlin. WHEN: TUESDAY, JULY 24, 2007 @ 6:00 P.M.
Hope everyone has a safe and happy 4th of July, and remember to pray for the boys over there. The legendary PETER CRISS, founding member, drummer and vocalist of the iconic rock group KISS, in an unprecedented CD promotion, is releasing a special edition of his new upcoming solo CD, ONE FOR ALL, which will be available worldwide on July 24. In dedication to his fans, Criss personally autographed a limited amount of CDs of the “special edition” package, which will be marked with a “gold” sticker on the CD, and will be available in the U.S. at the retail chain BEST BUY. ONE FOR ALL on Silvercat Records, distributed by Sony/Red, is an autobiogra phical collection featuring Criss’ self-penned tunes, in addition to several cover songs and tribute songs to his fans, that reflect his outlook on life at this point in his long-standing career. In addition to arranging and writing the lyrics and melodies for most of the material on the CD, ONE FOR ALL is the first fully self-produced CD by Criss. He was also joined by longtime friends and acclaimed musicians – bandleader Paul Shaffer and bassist Will Lee, as well as guitarist Mike McLaughlin. ONE FOR ALL will feature the following tracks: One For All, Doesn’t Get Better Than This, Last Night, What a Difference a Day Makes, Hope, Faces in the Crowd, Send in the Clowns, Falling All Over A gain, Whisper, Heart Behind Hands, Memories and Space Ace. We hope all you Father's out there have a Great Day !!!!!!! Today, Peter and Gigi celebrate their 9th Wedding Anniversary. Quote from the Criss', "It doesn't get better than this!" 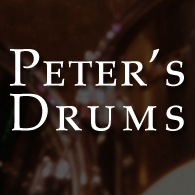 PETER CRISS,founding member and drummer of iconic rock group KISS, will release his new solo CD entitled ONE FOR ALL July 24 on Silvercat Records, distributed by Sony/Red. The CD will be distributed day-and-date to fans acr oss the globe. An autobiographical collection of songs that Criss produced and recorded over the course of two years, ONE FOR ALL also includes several cover tunes that reflect his outlook on life at this point in his long-standing car eer. 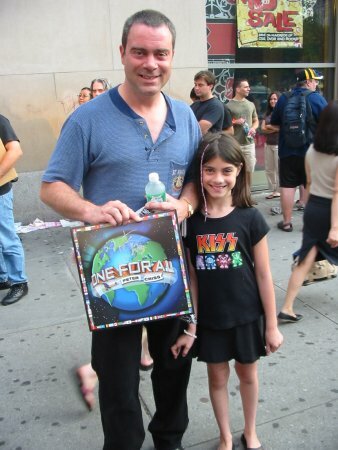 The lead vocalist and co-writer of what to this day remains KISS’ biggest Billboard hit, Beth, which also went on to win a People’s Choice Award, Criss goes back to his songwriting roots with this new CD. Says Criss: The mos t important thing is that my fans and other people will get a whole new outlook on me with this CD. I’m reinventing myself at my own pace, and for me, it’s now, more than ever, about being true. 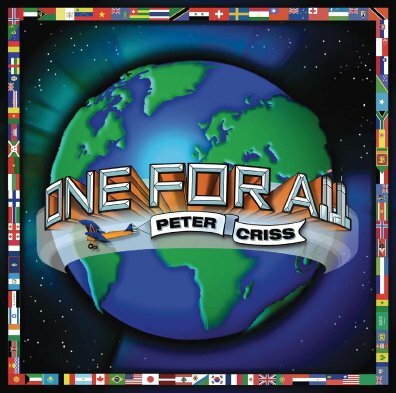 ONE FOR ALL is the first fully sel f-produced CD that Criss has recorded -- in addition to arranging and writing the lyrics and melodies for most of the material on the CD. Joined by longtime friends and acclaimed musicians – Grammy award-winning bandleader Paul Shaffer and b assist Will Lee, as well as guitarist Mike McLaughlin -- ONE FOR ALL is a variously styled project, profoundly rich in ballads that touches on all aspects of Criss’ life, and draws on his love of rock and R&B. The title track, recorded with the Church of Transfiguration Boys Choir, was written in the wake of 9/11 and sets the tone for the CD. Other songs include: Doesn’t Get Better Than This, Last Night, Faces in the Crowd, Heart Behind the Hands, Send in The Clowns, and even a tribute song to his longtime bandmate and friend ACE FREHLEY titled Space Ace. In all the excitement with the new album, we 'spaced' out and missed Ace's birthday. Hope it was great and many more. I want to wish you a happy Easter. 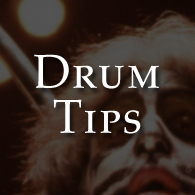 We at Petercriss.net are sorry to hear about the loss of Mark St. John. We send our love and prayers to the family. Happy and Prosperous New Year to everyone. May 2007 be great for us all.